Use Rollbar to track errors and improve user experience on Google Cloud apps. Integrating Rollbar with Google Cloud Platform (GCP) will help take your debugging and monitoring to the next level. 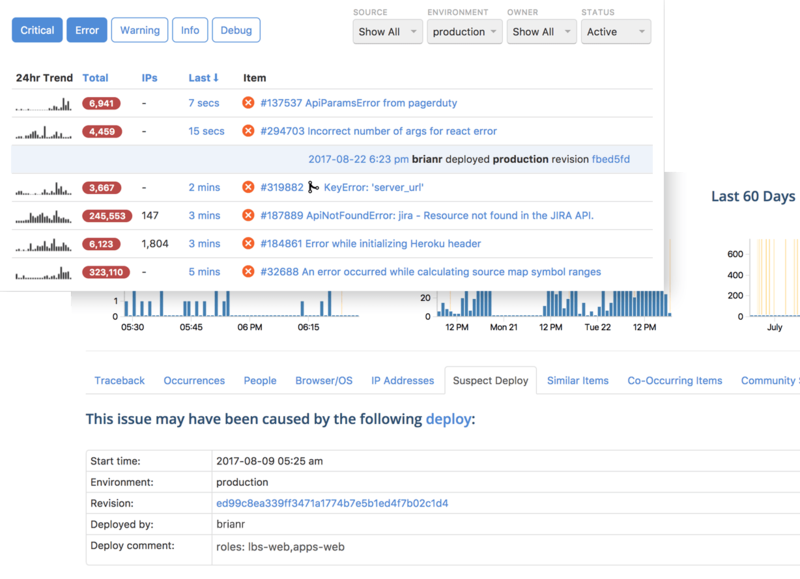 Deep link stack traces to code repos, correlate errors to deployments, and start debugging better using your existing workflow and tools. Quickly manage user access to Rollbar using Google Cloud Identity. This Single Sign On (SSO) solution uses SAML to automatically add users, remove the, and set permissions. A lot of things can happen—and problems can get obscured—when you rely on one minute granularity. Use the Rollbar live feed to detect errors and exceptions in real-time. This is especially useful immediately after deploys. 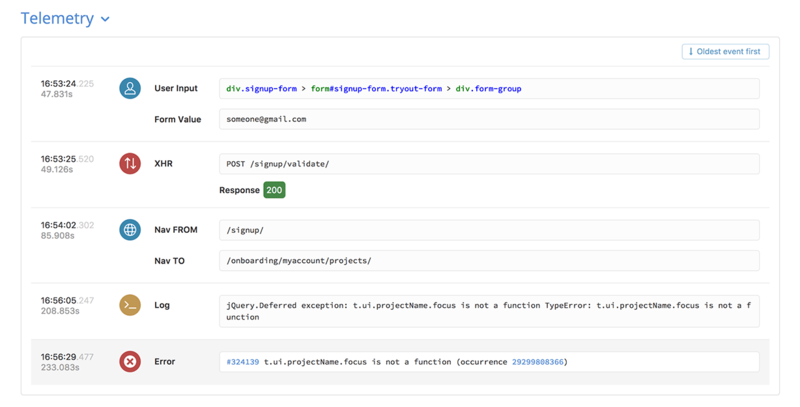 Rollbar keeps a history of your deploys, commits, and undeployed changes. For each error, Rollbar automatically identifies the suspect deploy, that caused the issue. Quickly view the diff in your source code repository from here. 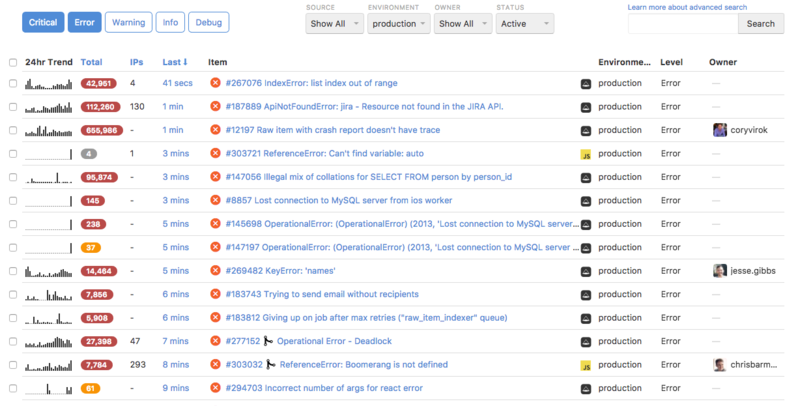 Instantly get to the line of code in your source repository that generated the error, directly from the stack trace. 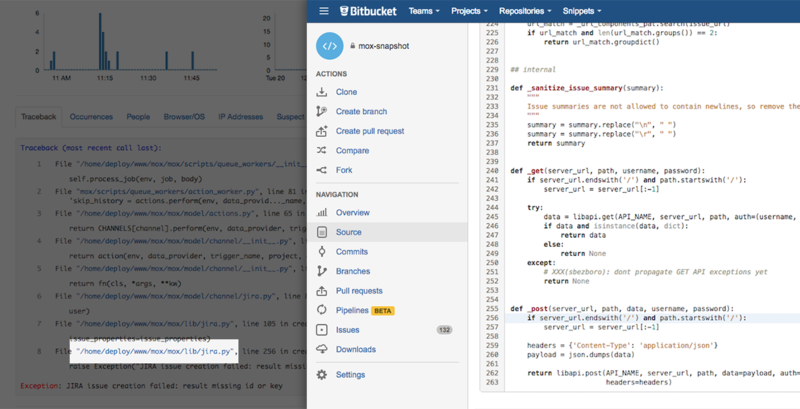 Rollbar integrates with popular git repositories, such as GitHub, Bitbucket, and GitLab. 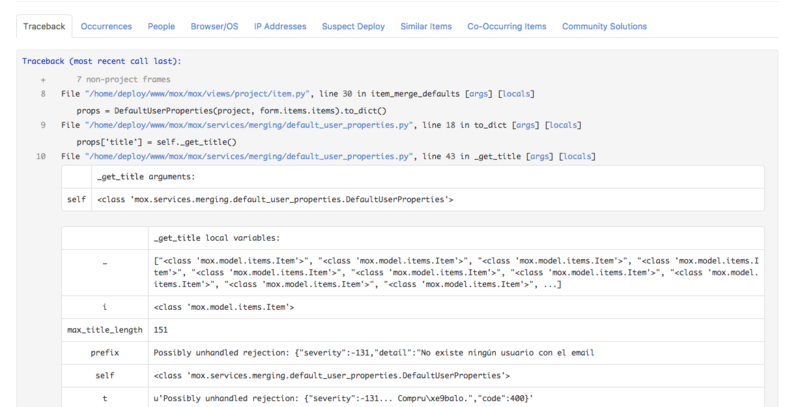 See the values of local variables in each method directly in the error stack trace. Replay requests with the exact same parameters to easily reproduce troublesome errors. Get a timeline of events in the browser leading up to when an error occurred, including user behavior, network activity, console messages, and more. 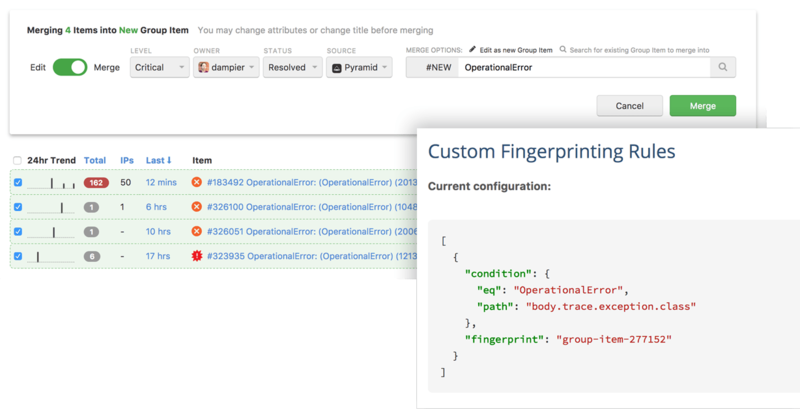 Merge similar and duplicate errors and create your own JSON-based custom rules to automatically group like error occurrences, so you can focus on what’s important. Rollbar's easier to dive deep into individual incidents. I can find script errors a user experienced and correlate that to systemic problems. Huge win! Rollbar is my DevOps insurance policy. They provide me peace of mind about the stability of hundreds of apps and billions of requests.